The department of Rocha is where you come to find Uruguay’s last, vast stretches of undeveloped beaches. The ocean here is clear and blue, the sand white, and the beach relatively deserted. Between José Ignacio and Brazil—with a few notable exceptions—you’ll find little development. 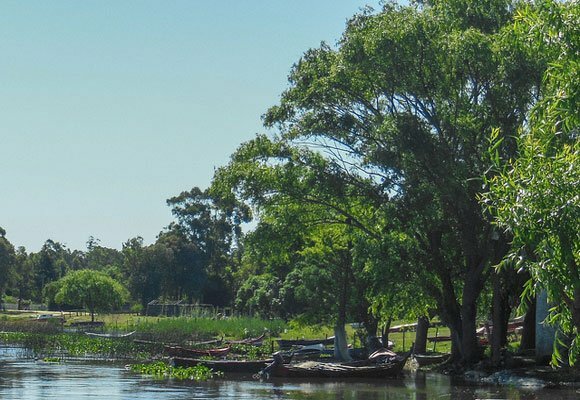 But the area feels much more remote than it really is; the highway is not far away, and you’re still within three hours of the international airport in Montevideo. True beachfront land is rare in Uruguay, and there are few places where you can build adjacent to the water. But in Rocha, you’ll find more land like this than anywhere else. Along with La Paloma, La Pedrera is similarly suited to somebody looking for a relaxing place to retire. Unlike La Paloma, La Pedrera has some high, rocky cliffs that provide amazing ocean views and lies just six miles east along the coast from La Paloma. It’s a small, picturesque community that is viewed by some as a more upscale alternative to La Paloma. Parque Nacional Santa Teresa, located on Uruguay’s Atlantic coastline just east of Punta del Diablo, and covering 1,050 hectares (2,595 acres) of forested land and Atlantic beaches, has lots of great hiking trails and good beach fishing to enhance the retired lifestyle. The park’s coastline has some of the best surfing breaks in the area, attracting surfers from both Uruguay and Brazil. 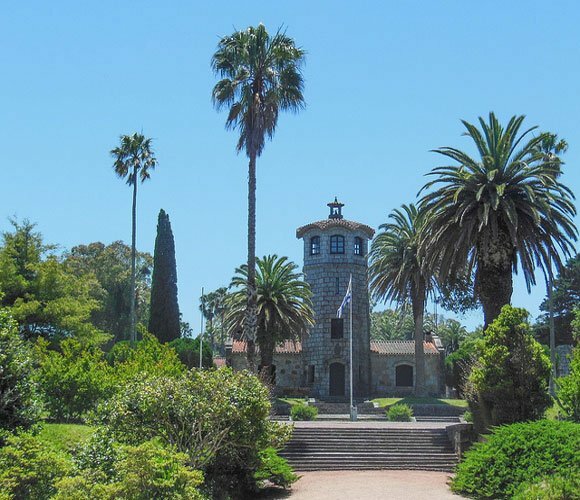 The park’s attractions include a cultural center, a small museum, a bird aviary, various gardens, and a large stone and glass greenhouse. 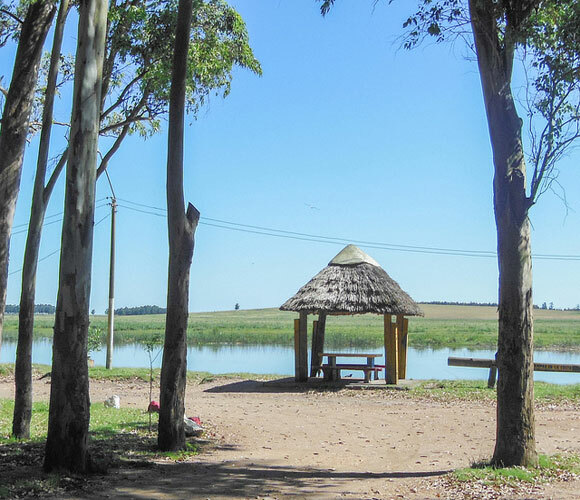 It has a population of approximately 3,500 people that grows to 30,000 in January and February, and is popular with budget travelers of all ages who want to enjoy a Uruguayan beach vacation at a fraction of the cost of Punta del Este. The beaches outside of town are wider, less developed, and less crowded. La Paloma itself is a small town, with a few hotels, lowrise condos, markets, and a number of shops selling everything from cell phones to souvenirs. The small town also has several nice restaurants providing diverse menu offerings. La Pedrera, just – 11.5 miles east along the coast from La Paloma, is a small, picturesque community that is viewed by some as a more upscale alternative to La Paloma. Unlike La Paloma, La Pedrera has some high, rocky cliffs that provide amazing ocean views. La Pedrera itself sits on a hill, so even houses that are set back from the water have a good view. What makes La Paloma, La Pedrera, and their surrounding areas in the department of Rocha particularly attractive is that this area is among the last places on the coast where you can find international resort properties at reasonable prices. Also, there’s a potential expanding market with Brazilians, who pass by this area on the way to Punta del Este. Home prices in both La Paloma and in La Pedrera are lower than in Punta del Este, but real estate prices in La Pedrera tend to run a little higher than in La Paloma. A clean and modern newer one-level home with two bedrooms and two bathrooms. It’s located just eight blocks from Anaconda beach in La Paloma. It has laminate and tile flooring and a fireplace. Outside there is a covered wood deck with a brick barbecue, as well as a covered carport. Price: $95,000. There is a third-floor two-bedroom one-bath condominium unit overlooking beautiful Arachania beach. It is just three years old. It has a clean and modern interior with a balcony and barbecue area. It’s listed for $140,000. A three-bedroom, two-bathroom modern home on a one-acre lot in the private community “Tajamares de la Pedrera” just outside of La Pedrera. There is lots of large windows providing natural sunlight to the interior, as well as a view over the vast green lawn and small pond with dock. There is also an outdoor covered barbecue area and a community swimming pool. Price: $220,000. Renting a property in Rocha can make a big difference to the cost of living and to a monthly budget, with two-bedroom family homes on the rental market for $600 per month, dropping to $450 in some areas. The price and quality of health care are the biggest plus to Uruguay for people from the U.S. If you qualify, you can get complete health care coverage for $100 per month, plus small co-pays, and prescription fees. A good bottle of wine costs less than $10 and you can get local grass-fed beef with no antibiotics or hormones for a small fraction of the cost that you might pay in North America and other countries. Note: Energy costs can vary greatly. Some spend less than the estimate, and some spend more.